The colder weather has started to work its way into our daily lives. 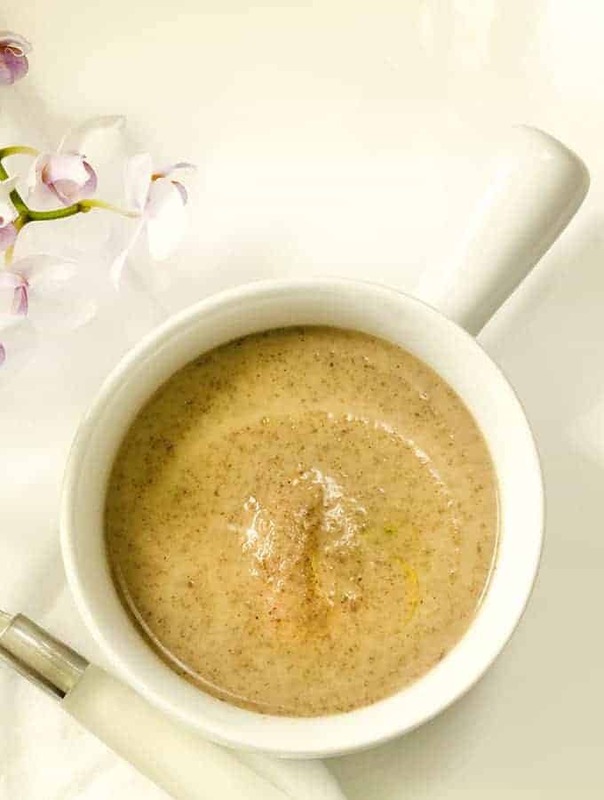 That means recipes like this Low Carb Cream of Mushroom Soup are the perfect dish to start serving up to the family. A warm bowl of soup on a cold evening is the making of a perfect night. If you are familiar with my Spicy Cream of Mushroom Soup, then you will love this Low Carb Cream of Mushroom Soup. 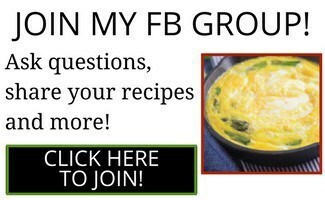 Both of these recipes are similar but, this recipe is much lower in carbs. So, if you love good soup but need to get rid of some carbs, you’ll love this recipe. 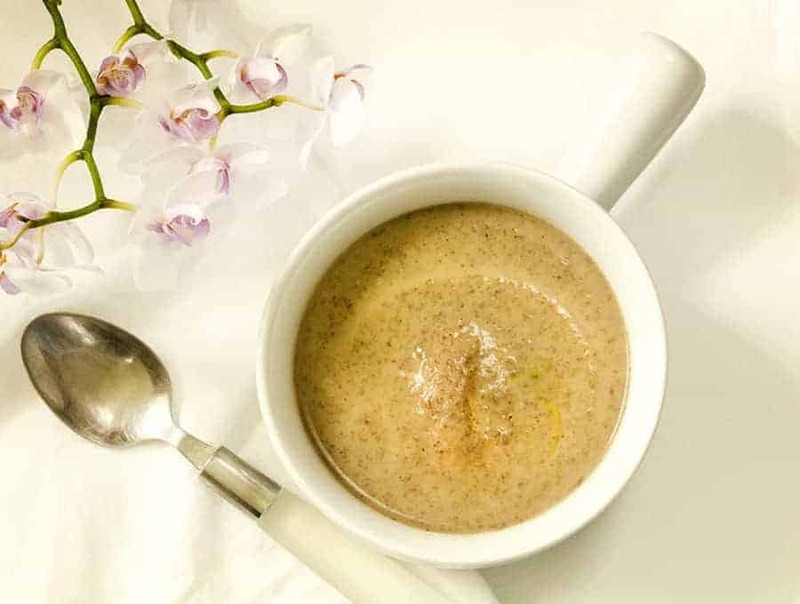 If you’re like me, you enjoy using creamy soups like this Low Carb Cream of Mushroom Soup with other recipes. 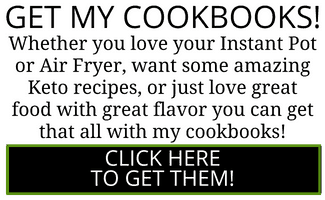 It works great as an addition to chicken or pork chop dishes. It also works as a satisfying meal all on its own. 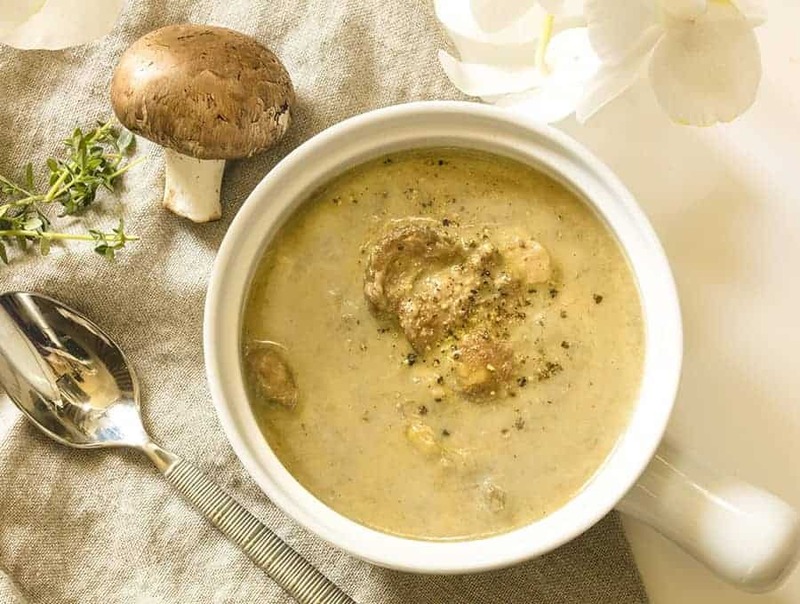 The best part of this Low Carb Cream of Mushroom Soup is the fact that it’s made in the Instant Pot. Even when the cooler weather hits, our schedules don’t slow down much. 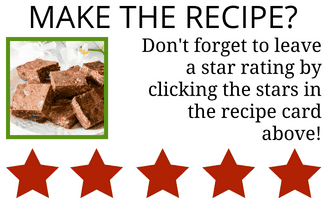 It’s great to have recipes like this one that are easily tossed into the Instant Pot and done within minutes. If you’re looking for something with a little more heat, check out my Spicy Cream of Mushroom Soup. It’s a delicious spin on a traditional cream of mushroom soup that really turns up the heat! 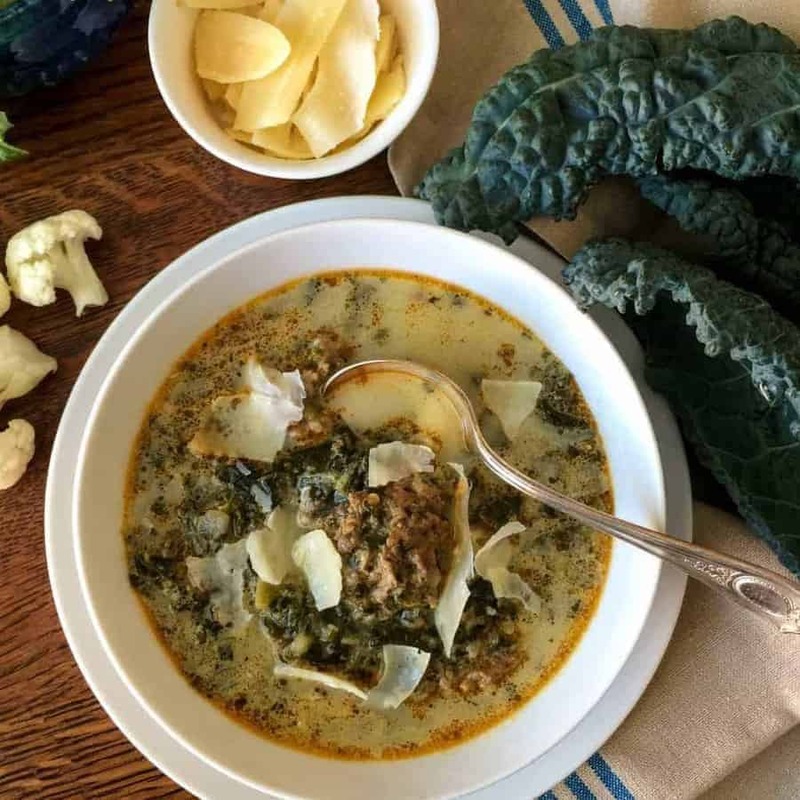 And if you’re looking for more low carb soup options, give my low carb Instant Pot Sausage Kale Soup a try! It’s loaded with protein and flavor. I’m looking forward to making this Low Carb Cream of Mushroom Soup again. It was rich in flavor but, didn’t leave me feeling like I had made a terrible food choice. Perfect for cooler nights and a quick dinner option. Looking for a delicious and warming soup but trying to cut back on carbs? 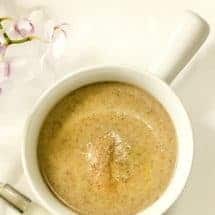 My Low Carb Cream of Mushroom Soup is just the soup for you! Open the lid, add the cream, and use an immersion blender to purée the soup leaving some mushroom pieces whole for texture.